Chocolate is the treat that so many of us love and crave, however, it seems that many admirers do not understand the shelf life of chocolate. It actually has a fairly long shelf life, lasting for six months to a year depending upon whether it is milk or dark chocolate and if it includes any additives like coconut, nuts or dried fruit. The cocoa butter in chocolate is a very stable fat and contributes to the lifespan of the chocolate. By itself, dark chocolate is good for about a year before it turns rancid. The shelf life of milk chocolate is a bit shorter, six to nine months. The main reason milk chocolate has a shorter timeline is that the milk fat (butter oil) part of the milk oxidizes or goes rancid faster than cocoa butter. The higher the milk content in chocolate, the shorter the life span. 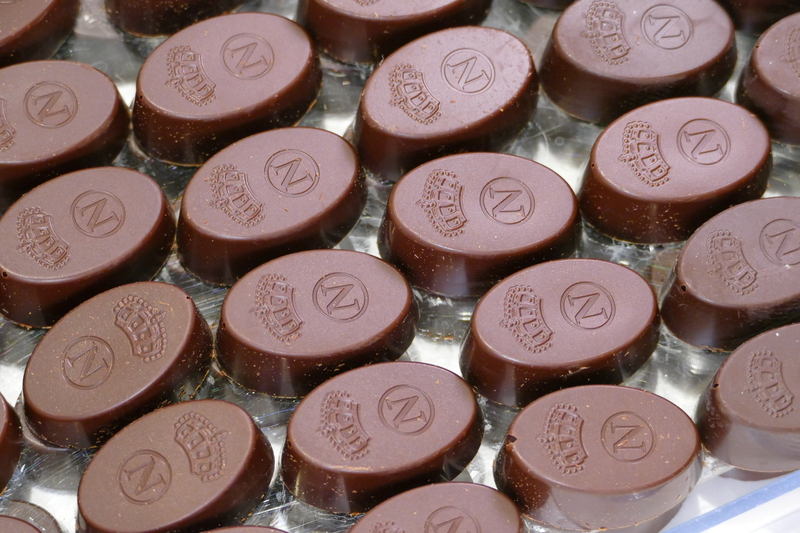 Adding nuts to chocolate will decrease the shelf life in terms of bloom and rancidity. Nut oils migrate quickly to the surface of the chocolate causing bloom (fat migration that can cause a discoloration of the surface of the chocolate), and the oils behave similarly to milk fat in that they oxidize faster, but the shelf life of chocolates containing nuts in still at least six months. The quality of chocolate used in most of the products sold at The Frenchman’s Corner is very high and therefore, the vast majority of our products have a shelf life of at least six months or longer. So, if you are shopping for a gift for someone for an anniversary, birthday or the holidays, you do not need to wait until a week or two before the event to purchase that special treat. You can easily make that purchase several weeks to two months in advance of the event and be assured that the recipient will still have a high quality gift without fear of it having gone bad before he, she or they could enjoy the gift.